BUT... there's always one of those (a but I mean). I've still been able have and acknowledge some pretty amazing moments. Despite how trying my week has been, there were some moments that I know I'm more appreciative of because I'm making a point to take notice of them. Even in my state of sleep deprivation I can recognize how awesome that is. scratch ticket - mini-me was lethargic and just not herself so I asked Mr. B to pick up pedialyte and advil on his way home from work. He showed up with all the requested goods and also with a scratch ticket for me. I only buy scratch tickets a couple times a year so it always feels like treat. Unfortunately, I didn't win, but I kind of did because it was nice to know he was thinking of me while checking out (or maybe he just wanted to win 50,000... either way). furry friends - Oliver is just in love with our dog, Lilo. Lilo walks in the room and Oliver's face just lights up. Both Oliver and Annabelle have been all over the dog this week and I can tell Lilo is in absolute heaven. It's so sweet to see them together. Nothing melts my heart like seeing them all playing. giving away a coffee - I like feeling happy. Coffee makes me happy. It only stands to reason that other people who like coffee would be even happier with free coffee. Am I right? YES! Even when I feel like a total jerkface (it happens), it makes me feel better to do something nice for someone. So, usually once a week I take $5 and buy someone's coffee in the drive-thru. Usually, the staff look at me like I'm nuts, but it's all good. If you've ever had someone buy your coffee, you know how something so small can change the course of your day. Friday I did just that, put $5 towards coffee for those behind. The cashier smiled so big and said "you are seriously the most amazing person ever!" Bit of a stretch, but thanks! Normally I book it outta there after buying coffee for someone but I got caught behind someone... well let me tell you, the guy behind me was waving his arm off in thanks. I hope I made his day because he and the cashier kinda made mine. karma: I won a free coffee on my roll-up the rim (and I never win those things)! a birthday party/tandem nap - the truth is I dreaded this party. I didn't dread the party itself but more attending it with BOTH children and no help. 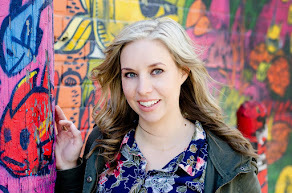 My goodness I work things up in my head (tell me I'm not the only one who does this). The party was great, my kids were very well-behaved AND I had a great time and got to see some of my most favorite people. Win-win-win. Plus BOTH kids napped for 1.5 hours when we got home. Yes, that's right, the magical unicorn of motherhood... the tandem nap. Sure, it stunk that Mr. B couldn't make it, but we had a blast and I got a little quiet time. lunch out with the fam - it wasn't anything extravagant, a trip to McDonald's with the kids and Mr. B. Sounds simple and it was, but it was also awesome. mom time - after lunch, Mr. B took the kids home and this momma had some (MUCH-needed) time to herself! I went to Chapters, got a book and went to Starbucks and enjoyed a chai tea latte (with coconut milk because, thanks to little man, no dairy) and read some of a book... in silence (okay, not silence but no kid noise) . THEN I went shopping, by MYself!!!!! Sorry for the caps, it's exciting stuff. After all that, I came home, scrubbed some toilets and spent time with my fam. Oh the things I find joyful these days. All-in-all kind of an amazing day (minus the toilet scrubbing... haven't they invented self-cleaning toilets yet? I mean really). 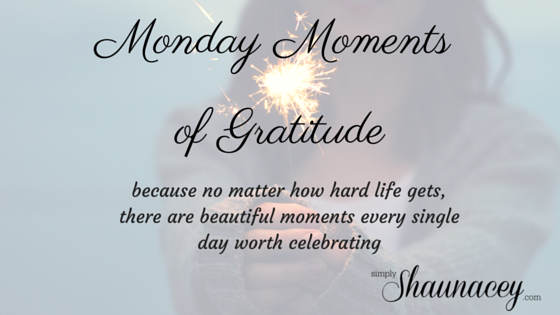 I hope, no matter how hard your week has been, that you have had some super awesome moments! 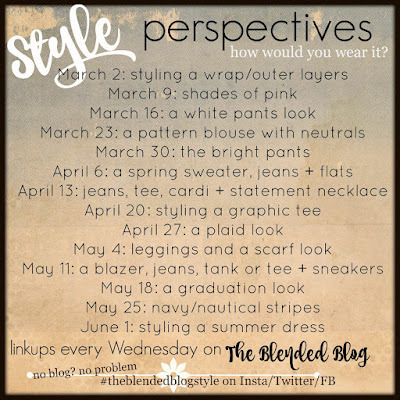 Last, don't forget the Blended Blog's Style Perspectives link-up Wednesday! 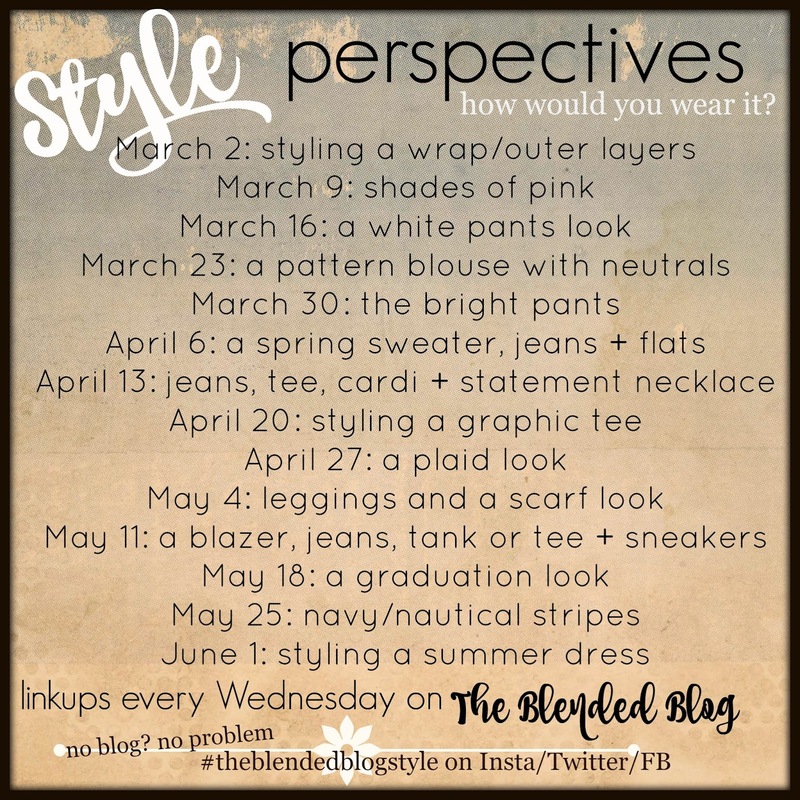 This week we're styling Shade of Pink! Who doesn't love pink?